Florida artisan, Maureen Cacioppo combines her love of cooking and time spent in the great outdoors with her hand-harvested salt. 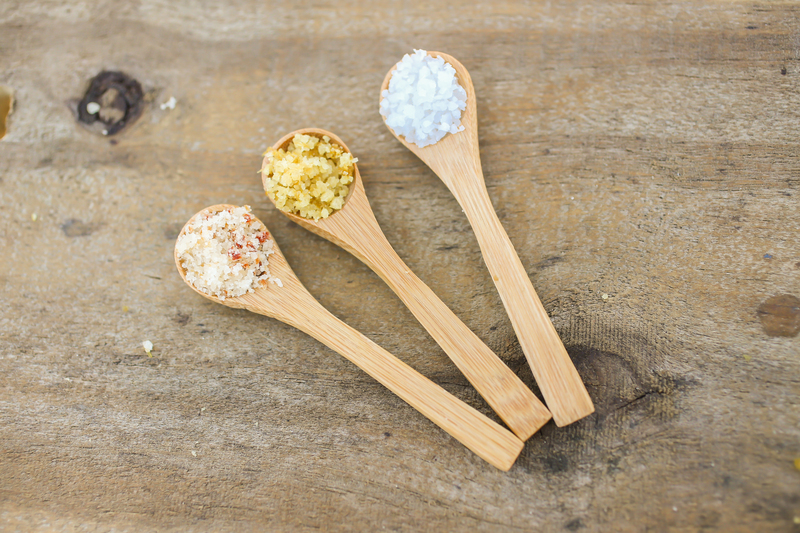 Using food to bring people together, Florida Pure Sea Salt brings you clean, quality salt without the use of bleaching, iodine, or other chemicals. Originally from Long Island, New York, Maureen has a background working for non-profits specifically for an outdoor youth education program. 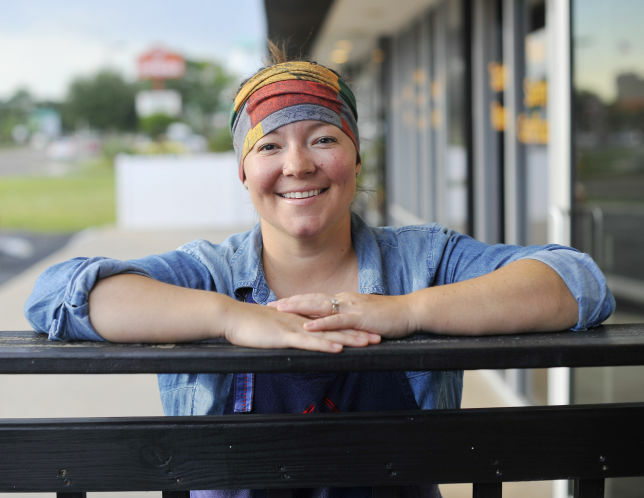 After moving to Florida, she brought together her love of the outdoors and her background in cooking and started hand collecting salt as a hobby. She admits that at first, she wasn't aware of the aspects that affected the flavor or quality of the salt. 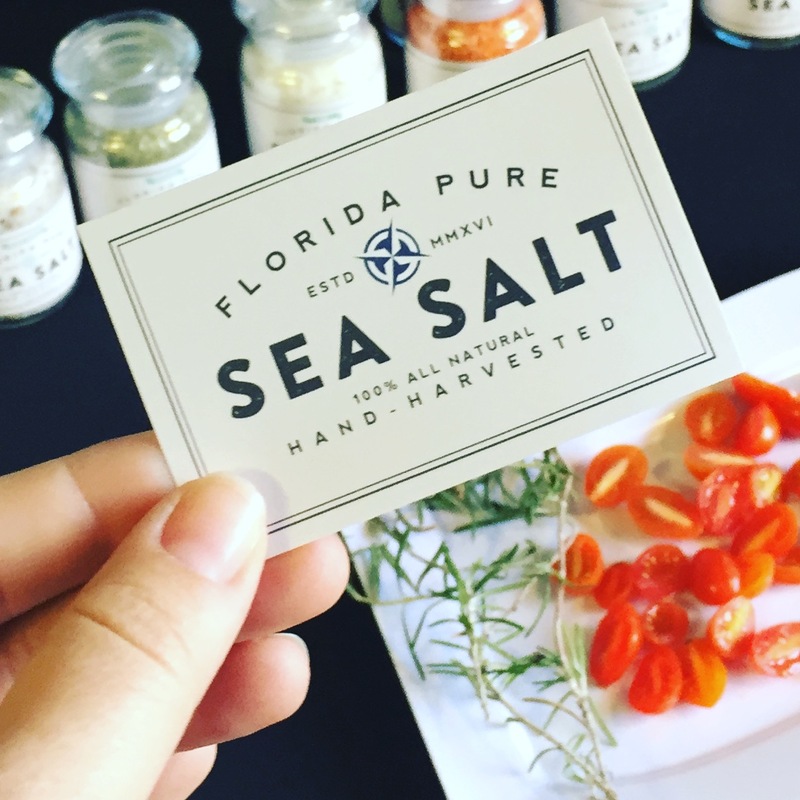 Though once Maureen started keeping detailed track of her process, Florida Pure Sea Salt started blossoming into a business bringing others a quality product they were happy to share at their own dinner tables. "I started taking a lot of notes," Maureen says. "I took notes on what worked, what didn't, and how different aspects of the process changed the flavor of my salt. There are a lot of moving parts." The more she learned, the more success she found with her hand-harvested salt. The process is a variable one, as some batches of salt take three days to make while others take up two months. Maureen makes small batches in order to monitor the process as closely as possible. Things like weather patterns, water temperature, salinity, and what kind of water (bay or ocean) all need to be considered when hand harvesting salt. It's also important to collect clean water as to not negatively affect the quality or taste of the salt. Once Maureen collects the water she allows it to settle for 24 hours. It's then filtered and boiled to reduce the volume and remove any potential bitter minerals that could affect the taste of the salt. She then begins the solar evaporation process in which the water completely evaporates and leaves behind the salt. She completes this step of the process in a large separate greenhouse with the appropriate temperatures. Finally, Maureen adds any dried or dehydrated ingredients. 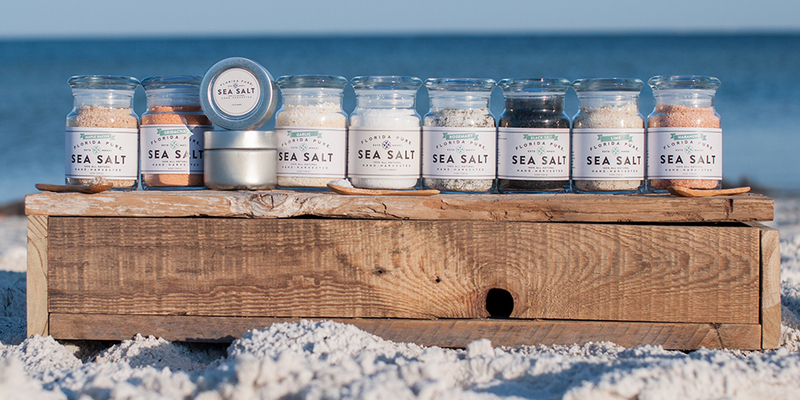 Florida Pure Sea Salt makes a wide variety of pure, regional, and infused salts. Maureen says the most difficult thing about her creating her product is finding and balancing time as a small business and staying focused on her ultimate goal. She works to create a very employee oriented business and helps to give back and support her local community as much as possible. Florida Pure Sea Salt still regularly sells at farmer's markets in the Saint Petersburg area, as well as online through their website. When asked what she wants people to remember about her business, Maureen says the fact that they create pure, natural quality salts while keeping their carbon footprint as small as possible. "We're a small business doing big things," Maureen says. "We're conscious and considerate through our process and we truly feel that our product is one that everyone can connect with. Conversations happen around the dinner table and Florida Pure Sea Salt helps to become a part of those conversations." Have an upcoming event in Florida? 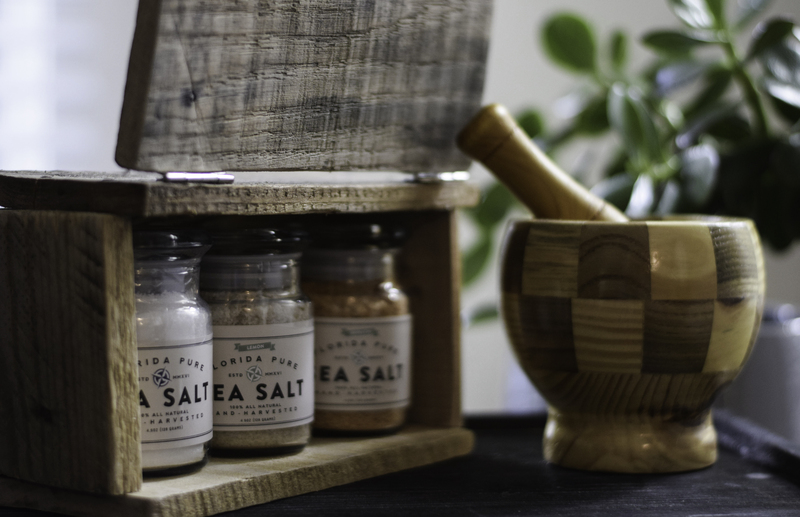 Gift a unique taste of the sunshine state by adding Florida Pure Sea Salt to your Artifact gift box. Choose from the pure sea salt, lemon infused, orange infused, or lime infused sea salts on our website!